This attractive picture is created from cut paper and depicts a double-handed Grecian style urn with sprigs of delicately cut flowers. 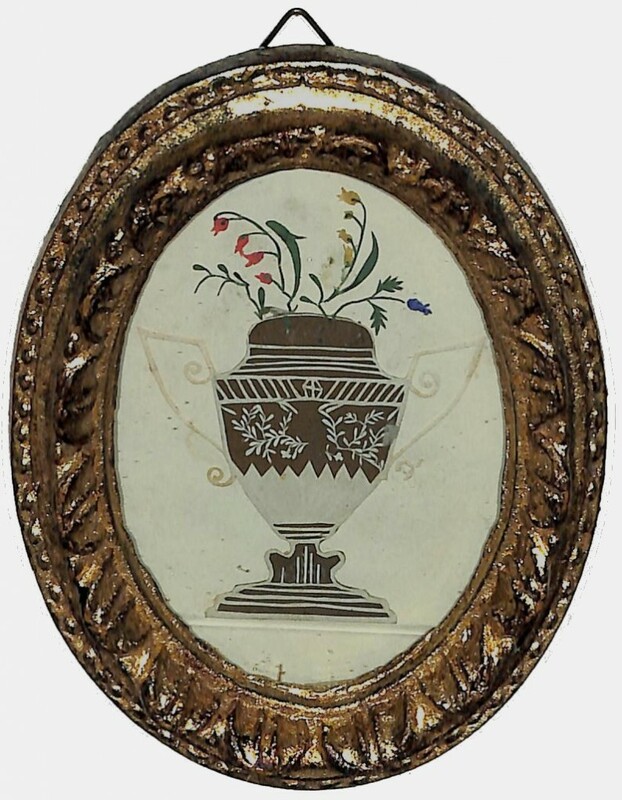 It is sympathetically presented in a later giltwood frame. to cut the paper with great delicacy.